I have a bit of a funny relationship with my Sick Music artwork. Maybe it’s because I float around between artist and designer so ambiguously that when I do work like this, I don’t feel like I’m being as creative as I can be. The job is kindof a find a stock image, make it a bit more interesting/relevant and lay it all out! Anyway, it’s all meant to be clean-cut, largely grid-based and stylistically a modern reference to the old Plastic Surgery albums that Sick Music is a spiritual successor to. Anyway! Here it all is, and there’s a lot of it! 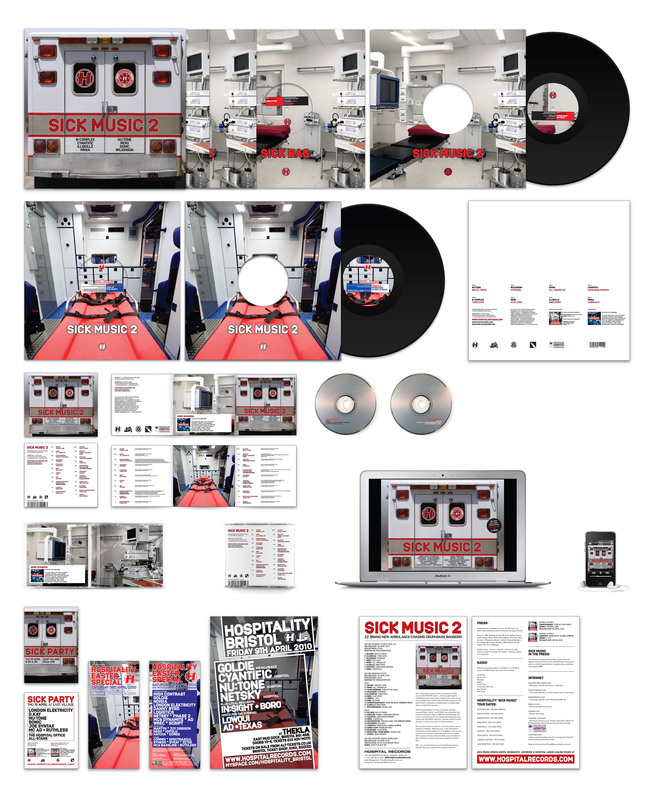 I realised it’s a lot more satisfying when I put it all together- it’s a big graphic design project! I should have it up on my Flickr now (as today’s creative activity) here -the nice thing about Flickr is I’ve managed to annotate everything in the image, in case you wondered what each item was. Sick Music 2 is out this weekend- its formal release date is Monday 26th April, but shops (including Hospital!) have began shipping it already. Yeah!